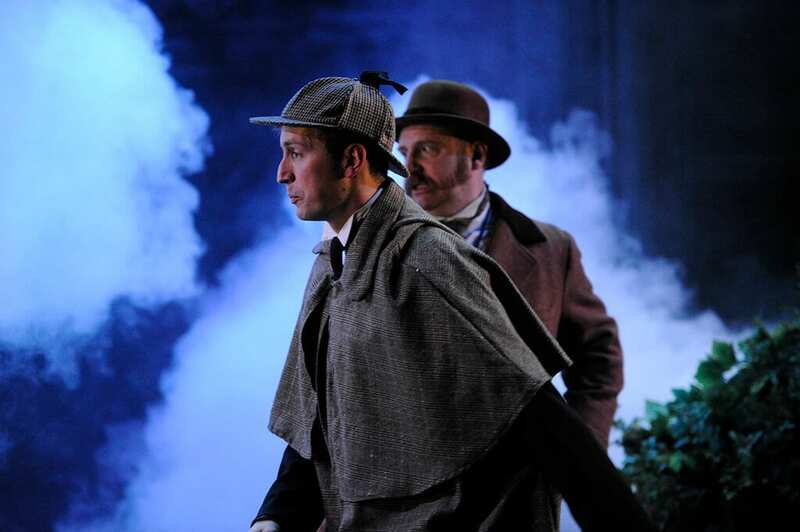 In line with The 39 Steps and any of the Abridged series, The Hound of the Baskervilles follows the recent tradition of combining a classic tale with pantomime, sounds effects, and slapstick, fast-paced humor using only a few actors to fill all the roles. The Hound of the Baskervilles, using the well-known Sir Arthur Conan Doyle story of the same name, sees Sherlock Holmes (Max Hutchinson) and his bumbling, albeit sincere, side-kick, Dr. John Watson (Simon Kane) tackle the mysterious deaths occurring on the moors of the Baskerville estate. The legend goes that a great hound will kill any Baskerville who dares cross the moor at night. After the death of his uncle, Henry Baskerville (Shaun Chambers) is the last Baskerville alive and it’s up to Sherlock and Watson to keep him that way. 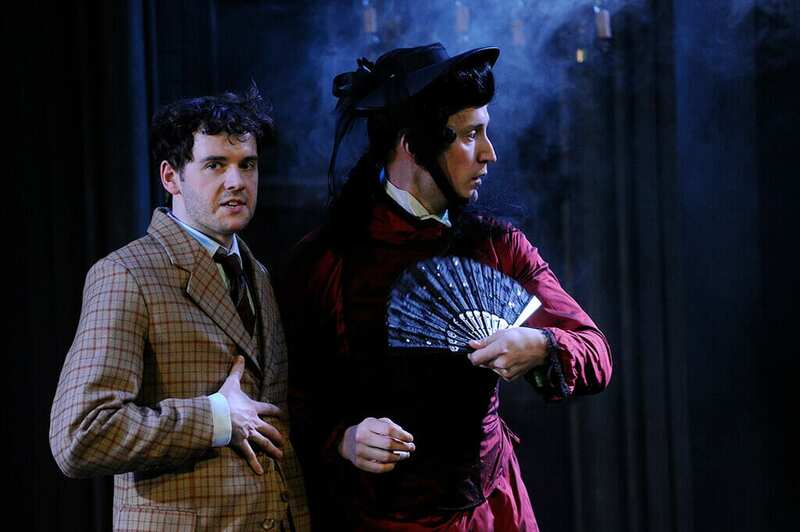 The English Theatre Frankfurt hosts this Holmes invasion (pun obviously intended), invasion being the only way to describe how the trio of performers transform and take over this Frankfurt stage. The lighting and set are gorgeous, truly stepping up the game and allowing for a fine mix of theatrical spectacle and revealing the wires. The trio work brilliantly together and, like the set, smoothly transition between becoming the characters and allowing the ‘actor’ to shine through. In fact, one never truly forgets who the actors are even as they slide between their multiple roles. This is not for a lack of skill, but rather a deliberate choice and it is this emphasis on breaking the 4th wall that helps differentiate The Hound of the Baskervilles from other, similarly styled productions. While this type of show can no longer truly be called unique or creative as it falls in line with a series of modern productions, The Hound of the Baskervilles is nothing short of charming, engaging, and pure fun that feels like a new experience nonetheless. 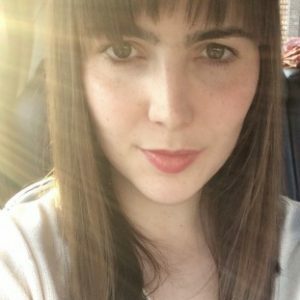 Whether or not to see the show? Elementary, my dear Watson.